Schoogie’s is owned and operated by Michelle Rodriguez and John Souter. The business came about by a business venture of Michelle’s parents. In 2009 Debbie Rodriguez purchased a building with the desire of bringing to the community a quality resale clothing store. Over time her daughter Michelle came to work as an employee and fell in love with the business. It was then decided that Michelle would purchase the business, she had a strong desire to expand the variety of products offered. Michelle and her business partner John bought their first piece of furniture together, a chair. From then on, the business continued to grow and expand. Today this local resale store is truly a staple in our community. Bringing the opportunity for customers to purchase necessities in life at a fraction of the retail cost. This is what makes the job fun for Michelle and John, they like the excitement of bringing gently used, quality items to those who need them. This local business has grown so much over time, that they have added on extra square footage to help house all the merchandise. They have even expanded to a second location in 2017 at Princeton, IN. This local business is now offering a large selection of used merchandise. We would like to take the time to applaud Michelle and John for all their hard work and dedication to this local business. 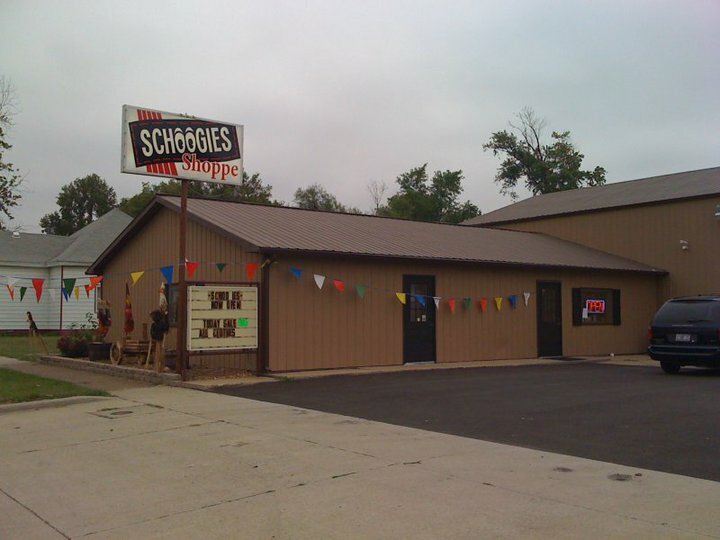 We wish Schoogie’s many more successful years, and encourage the local community to utilize such quality services when looking for “exactly what you needed”!